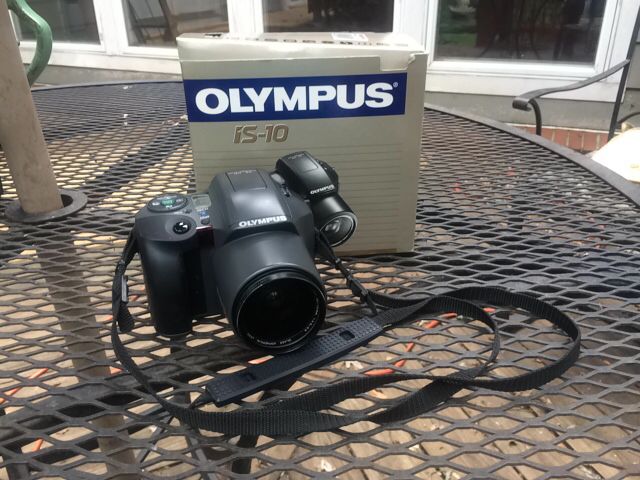 This is an Olympus brand vintage film camera, complete with its original box and paperwork. It has a 4x zoom lens and takes a cr123a battery. 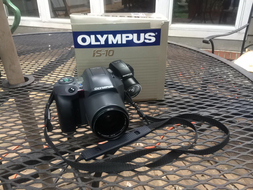 This is a vintage film camera, an Olympus is-10, complete with its box and manual.